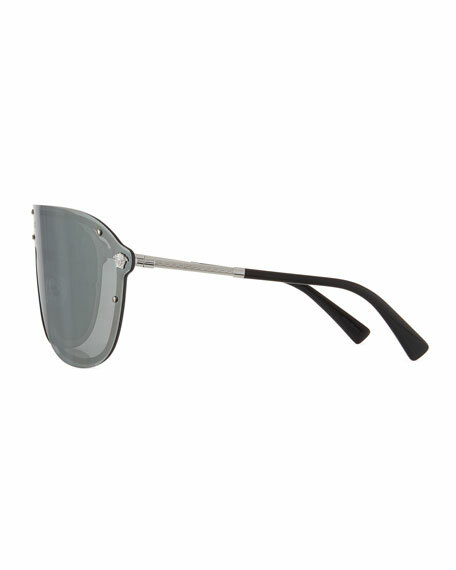 Versace shield sunglasses with metal frames. Monochromatic lens; logo script at center. Signature Medusa head detail and studs at frame front. Slim arms with Greek key etching.